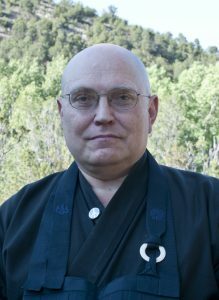 Taigen is Guiding Dharma Teacher of Ancient Dragon Zen Gate in Chicago, and priest and Dharma successor in the Suzuki Roshi Zen lineage. He has taught at IBS since 1994. His previous books include Faces of Compassion: Classic Bodhisattva Archetypes, Dogen’s Extensive Record, and Cultivating the Empty Field. Taigen began Soto practice in 1975 in New York, and practiced for years at S.F. Zen Center, Tassajara monastery, and Green Gulch. He practiced for two years in Kyoto, and is an authorized teacher in the Japanese Soto school. Taigen has long been active in programs for social justice, peace, and the environment.